Yuvraj Singh, the India all-rounder, is not quite ready to bid adieu to cricket. Yuvraj's career has been under a lot of speculation for the last couple of years. The 37-year-old last played an international game in June 2017 during India's tour of West Indies. 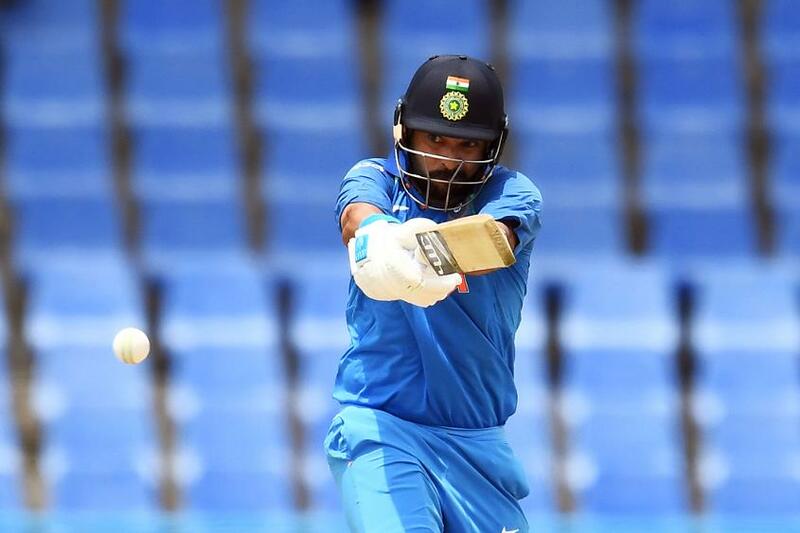 Picked up Mumbai Indians in the Indian Premier League 2019 player auction for his base price of Rs 1 crore, despite a poor season last time, he scored a 35-ball 53 against Delhi Capitals at the Wankhede stadium on Sunday, 24 March. It was his first fifty-plus score since May 2017. However, Mumbai lost the game by 37 runs while chasing a stiff 214. Yuvraj's last fifty also came against the team from Delhi, then known as Delhi Daredevils, two years ago when he was playing for Sunrisers Hyderabad. The move to Kings XI Punjab in 2018 did nothing to revive the left-hander's career as he went on to score only 65 runs in eight matches in that IPL season, his worst till date. Despite his recent struggles, the all-rounder insisted he will think about retirement only when he stops enjoying cricket. "When the time comes, I will be the first one to hang up my boots," he said at the post-match conference. "Last two years have been up and down. [I] couldn't decide what I wanted to do but main thing was [remembering] why I played the game when I started playing the game. I played the game because I enjoyed playing cricket. That time, I was not playing for India. I was playing for the under 14s, under 16s. So till the time I enjoy playing cricket, I will play." Yuvraj also added that he took advice from Sachin Tendulkar, who he felt could relate to his situation about playing towards the end of a long career. "I spoke to Sachin [Tendulkar] as well and he has gone through such a time when he was 37-38-39. Talking to him makes things easier for me."